Located in vibrant uptown Charlotte, The Ritz-Carlton is a luxury Charlotte NC hotel that brings an urbane sophistication with its innovative restaurants, dramatic skyline views, penthouse, Spa & Wellness Center, spacious guest rooms and an environmental commitment rarely seen in a contemporary urban hotel. 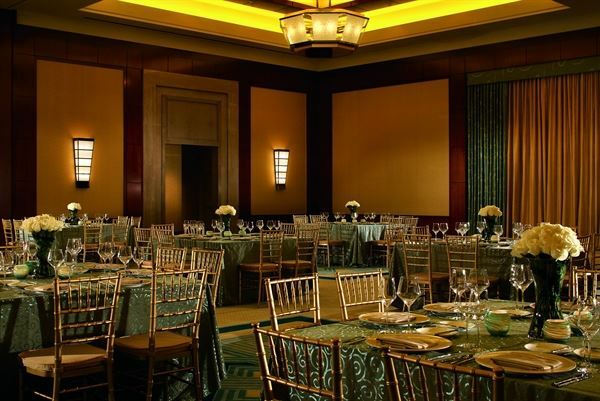 Creative and expertly orchestrated events are synonymous with our Charlotte, NC hotel. And while we house 12,000 square feet of function space, planners will discover there’s more to the experience than simply meeting rooms: You’ve envisioned your perfect wedding; allow us to bring it to life. With our luxury Design Studio, couples can meet with our experts to customize every detail of their special day, from the venue to the cake to the honeymoon at a Ritz-Carlton resort around the world. Exchange vows in the glass-roofed Urban Garden, adjacent to our Charlotte hotel, or take your first dance before hundreds of loved ones in our grand ballroom. Combining an ideal Uptown location, impeccable service and contemporary style, our Charlotte hotel is the ideal venue for your wedding celebration.